Are you ready to go for the GOLD? 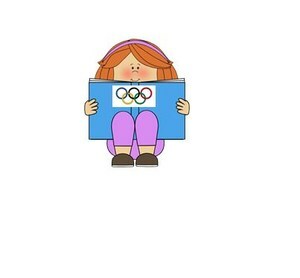 The Readathon is back and the theme this year is the Winter Olympics. It begins on Feb. 26th (Mon.) and goes until Mar. 2nd (Fri.). Pledge and tracking packets will be sent home on Feb. 22nd in Thursday folders. Please turn in pledge forms daily to your teacher. Last day to read is Friday, March 2nd. All minutes & pledges must be turned in by Monday, March 5th. This will NOT be a fundraising event just a time for students to boost their reading and have fun!